On June 8, 2010, while on a book tour for his bestselling memoir, Hitch-22, Christopher Hitchens was stricken in his New York hotel room with excruciating pain in his chest and thorax. As he would later write in the first of a series of award-winning columns for Vanity Fair, he suddenly found himself being deported "from the country of the well across the stark frontier that marks off the land of malady." 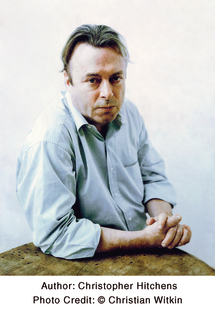 Over the next eighteen months, until his death in Houston on December 15, 2011, he wrote constantly and brilliantly on politics and culture, astonishing readers with his capacity for superior work even in extremis.Throughout the course of his ordeal battling esophageal cancer, Hitchens adamantly and bravely refused the solace of religion, preferring to confront death with both eyes open. Christopher Eric Hitchens was an English-born American author, journalist and literary critic. He was a contributor to and a variety of other media outlets. Hitchens was also a political observer, whose best-selling books - the most famous being - made him a staple of talk shows and lecture circuits. He was also a media fellow at the Hoover Institution. Hitchens was a polemicist and intellectual. While he was once identified with the Anglo-American radical political left, near the end of his life he embraced some arguably right-wing causes, most notably the Iraq War. Formerly a Trotskyist and a fixture in the left wing publications of both the United Kingdom and United States, Hitchens departed from the grassroots of the political left in 1989 after what he called the "tepid reaction" of the European left following Ayatollah Khomeini's issue of a fatwa calling for the murder of Salman Rushdie, but he stated on the Charlie Rose show aired August 2007 that he remained a "Democratic Socialist. "The September 11, 2001 attacks strengthened his embrace of an interventionist foreign policy, and his vociferous criticism of what he called "fascism with an Islamic face. " He is known for his ardent admiration of George Orwell, Thomas Paine and Thomas Jefferson, and for his excoriating critiques of Mother Teresa, Henry Kissinger and Bill Clinton. Hitchens was an anti-theist, and he described himself as a believer in the Enlightenment values of secularism, humanism, and reason.